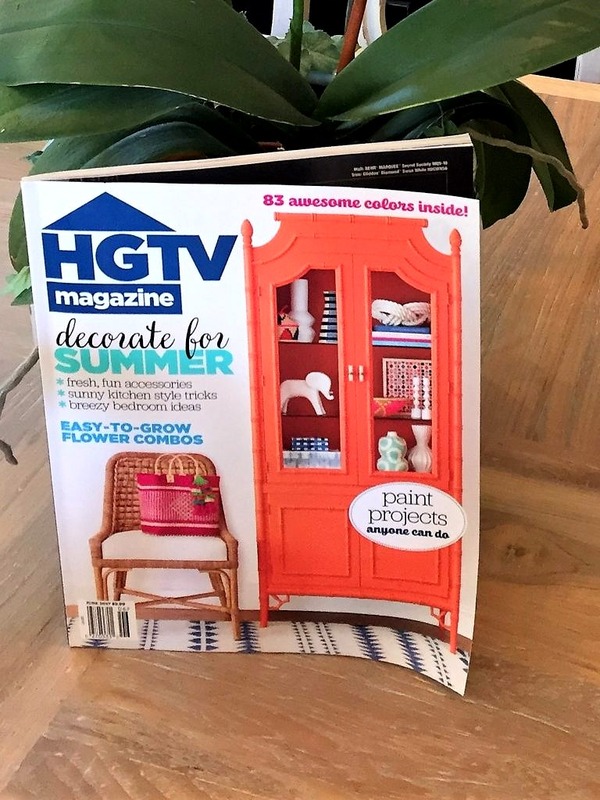 When a customer from North Jersey called last week to check on the status of her classic farm table from our factory in Hungary–meant to arrive in May but now coming in June, sadly–she told us the same table she was waiting for was featured in a Rumson home in this month’s HGTV Magazine! And sure enough, there was our British Cottage table! 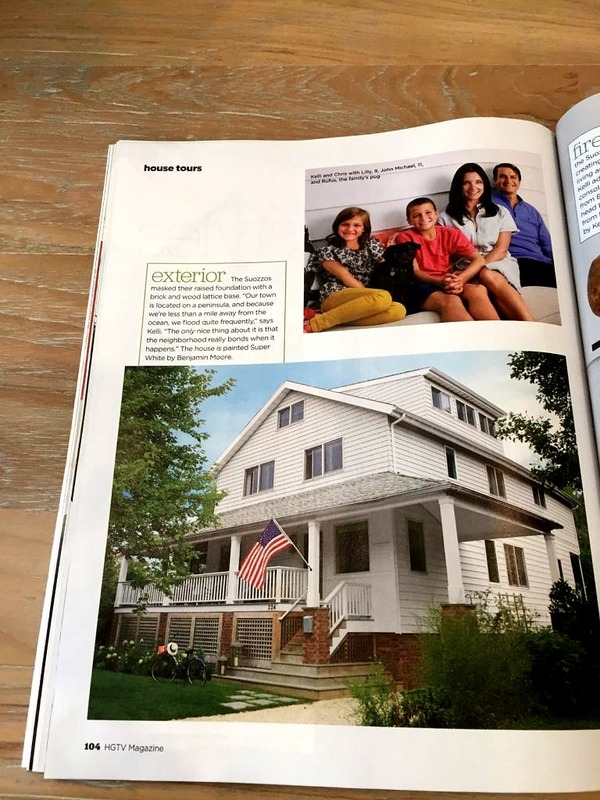 But it didn’t start out with this Rumson family. About 15 years ago a couple from Spring Lake had had it with the traditional layout of their perfectly located home. He cooked, she loved to entertain, the sequestered formal dining room and barely adequate kitchen were not working for their lifestyle. So they blew out the back of the house, and the wall separating the dining room and the kitchen and made a fabulous room overlooking their fabulous garden. They added new cabinets and state of the art appliances then anchored the whole shebang with a custom British Cottage farm table. And lived happily ever after, until she wanted a pool and more yard, and a house with more robust proportions. So they bought some acreage a bit further south and built their dream home, again with a dream kitchen, again anchored by their British Cottage table. But when retirement loomed, the idea of moving to Charleston, South Carolina, and enjoying all the accompanying amenities of that beautiful city outweighed their happiness in their New Jersey abode. So off they went–really south this time–and bought a vintage townhome in that vibrant city. Sadly the British Cottage table did not make the trip. Too big for even the proposed renovated kitchen in Charleston, they pondered its fate. Fortunately, there was a nephew moving to Rumson who volunteered to take the table. And this, by the way, may be the best thing about British Cottage tables–they never go out of style. 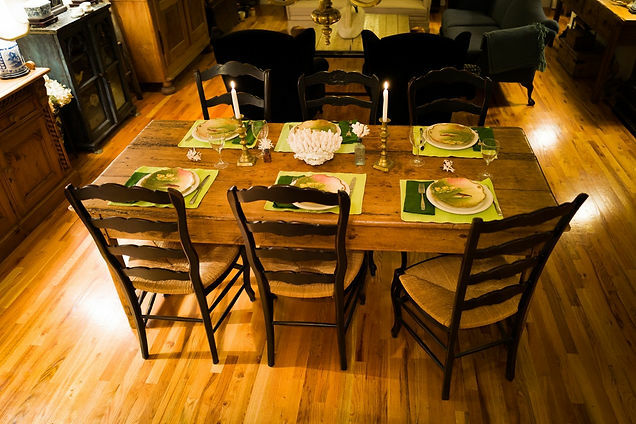 Maybe, like our customer, you move on and opt for a new look but someone, somewhere will want your farmhouse table. Trust me. PS. Happily we were able to find a fabulous distressed walnut table from a bespoke furniture company in England to make the trip to Charleston. 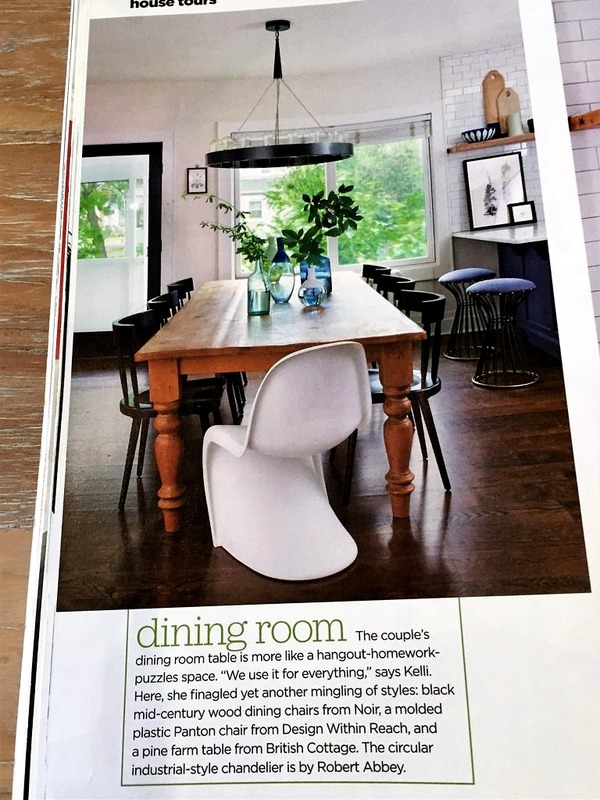 Along with a photo of that table in situ my friend sent this recipe which evidently is Charleston’s favorite hors d’oeuvre. Slice fennel bulb thinly, reserving fronds. Chop fronds to equal 1 Tbsp. Fill a large bowl halfway with ice and water. Bring 1 Tbsp. kosher salt and 2 qt. water to a boil in a Dutch oven over high heat. 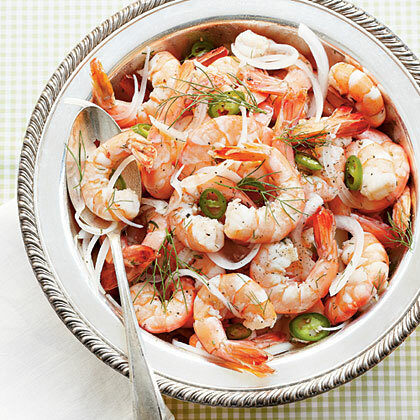 Remove from heat; add shrimp, and let stand, stirring once, 1 minute or just until shrimp turn pink. Transfer shrimp to ice water, using a slotted spoon. Reserve 2 cups hot cooking liquid in a medium bowl. Let shrimp stand 10 minutes, stirring once. Transfer shrimp to a paper towel-lined plate, reserving ice water in bowl. Whisk lemon juice and next 4 ingredients into reserved hot cooking liquid until salt and sugar dissolve. Place bowl in reserved ice water, and whisk lemon juice mixture until cooled to room temperature (about 10 minutes). Remove lemon juice mixture from ice water; discard ice water, reserving chilled bowl for shrimp. Stir together onion, fennel slices, chopped fennel fronds, and shrimp in chilled bowl. Pour cooled lemon juice mixture over shrimp mixture. Cover and chill 1 hour to 2 days. Serve with a slotted spoon. shrimp? Serve it on toast? Salad? British Cottage is now officially 30! We opened our first store at 125 West Front Street in January 1986 with a container full of antique English pine bought with the cash buyout Keith received after parting ways with the Tetley Brewing Company. Neither of us had a background in antiques; it was only by chance we met a Martha Stewart look-a-like from Connecticut at an auction on the grittier side of Gosport, a washed up city on the wrong side of the Solent. We were looking for furniture to bring back to New Jersey (another part of the package was free shipping) and watched as this petite, middle-aged woman with fabulous hair and an outfit that coordinated with her pumps, bought every piece of stripped pine that came up for sale. Waiting to pay at the end, we met her in the queue and just had to ask what the heck was she doing there, like how did she even find Gosport? She told us that antique English pine furniture was the heart of the “American country” look and all the craze in the states and advised us to buy every piece we could. So we did. And thirty years later we still are buying and selling antique pine (as well as a whole bunch of other stuff). Looking back over the years we have sold some really fabulous items. But we kept a few too. This “On Board” feature will be the ones that did not get away. Objects we’ve known and loved for years–even decades. 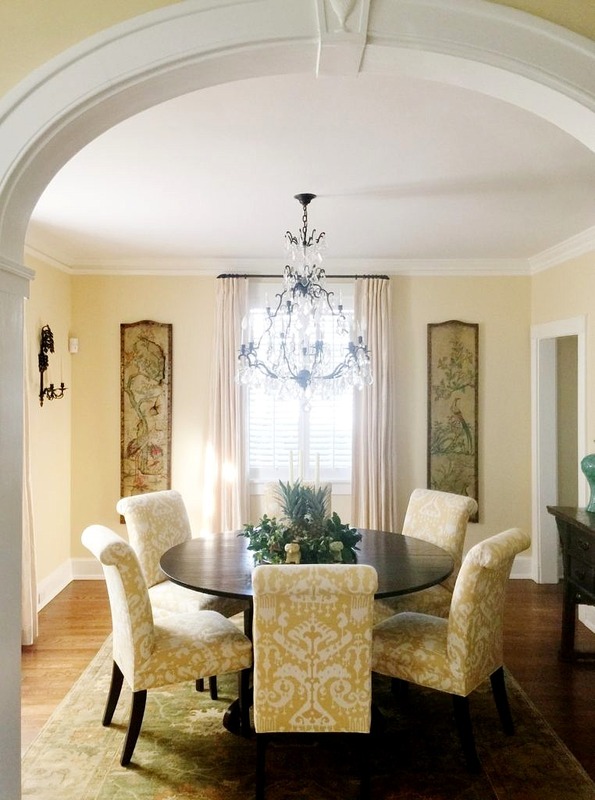 For us decorating is not about buying a catalog of matching items, it is all about the hunt, the experience, and the joy of finding an object that fits in a room just so–or doesn’t fit in at all –but you love it so into the mix it must go. I’ll start with our dining room table. It is an antique farm table from Ireland that Keith bought from Martin Dearden, an aristocratic bloke straight out of Dickens, with a large manor home called Pennard House in Shepton Mallet, a little village in Somerset. That is how you did things in those days. You would go to a small shop on a High Street and invariably the owner would have a bunch of sheds or barns somewhere else so off you would go through fields and hedgerows to see great masses of furniture in astonishingly bad disrepair and then start making a deal. The deal would usually involve tea, some biscuits and if it all turned out okay, in the end, a trip to the pub–there is always a pub in these stories. (Pennard House is still in business today as a wedding and event venue–I’m guessing the antique barns are probably used for dining–and rinking). Anyway, Keith bought this table from Martin and along with a number of other items it was loaded onto a container that eventually found its way to Red Bank. When my mother walked into the store, she took one look at the table amongst the other new arrivals and claimed it immediately. Made in the late 1800’s with three long pitch pine planks and a stretcher base, it has two drawers that reach all the way to the middle of the table and it was a beast to carry up the stairs to her second-story dining room overlooking the Shrewsbury River in Rumson. Mother of six, friend to all, it is impossible to count the number of parties and holidays we enjoyed around her table–let alone fathom all the meals served on it prior to its arrival in America. When my mom died, one of my brothers was quick to claim it. A few years ago he moved to California and the table came full circle back to us, where it is now front and center of the great room above British Cottage. We are happy to let the parties begin, again, at this fabulous table.